Manarola, Cinque Terre, Northern Italy. Another small promarker city, this time back to the Mediterranean Sea. 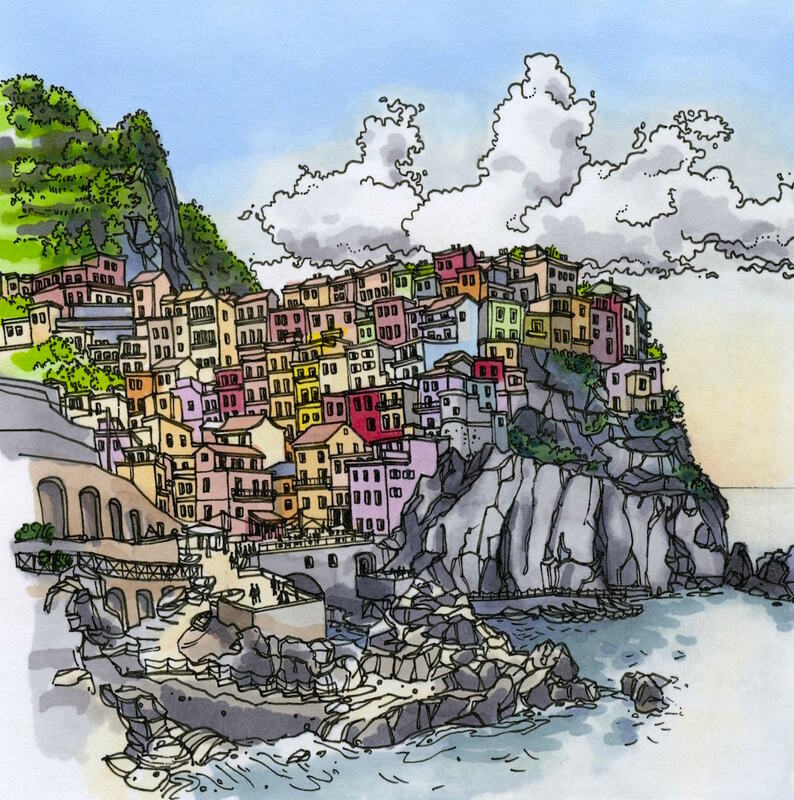 They say Manarola is one of the oldest towns in the Cinque Terre, with a church dating back to 1338.